Preludium, Anglican and Episcopal futures: The Church of Brazil and its new prayer book. The Church of Brazil and its new prayer book. The Primate of The Episcopal Anglican Church of Brazil sent me a copy of the new Book of Common Prayer (2015) for the Episcopal Anglican Church of Brazil. It was a marvelous gift. It is a hefty tome, some 1181 pages long, printed on rather thick paper, so the book is BIG. It is the culmination of a great project. The BCP for the national church in Brazil appears to be based in large part on the texts and organization of The Episcopal Church's 1979 BCP. But there is much that is new and sets it apart from TEC's BCP. There are some really fine new liturgies. For example, there is a liturgy of the passion and one for the seven last words. There are a wide range of Eucharistic prayers - a Rite I liturgy and Rite II, with seven Eucharistic prayers. Each section of the BCP is introduced with a short commentary on the rites included. Even with bad Portuguese I get the meat of these commentaries. They are a fine addition. The IEAB BCP is a great "cook book" of liturgical material. But like the TEC BCP it pushes the limits of being a manual - that is a book held in the hand of the believer. The TEC BCP is of manageable size only because it is printed on thin paper. But the BCP in Brazil is on heaver paper and hefty. Too hefty to be really handheld. In the TEC BCP the careful observer will note that the spine gets broken and the pages pushed forward on those sections everyone uses, and the rest remain mostly unread and unused. I suspect the same will happen with the IEAB BCP. Occasionally I return to the English "official" BCP which is in fact a wonderful "hand held" item. It is small, compact, and contains the core of English liturgical life. Of course it does not contain all that CofE worshipers now use. Additional materials are published and some of those provide the working norm for life in parishes. But the core material in the BCP provides a manual for devotion. And, it is manual. The question then is this: Is it time both in the US and in other churches that derive their liturgical material from TEC to consider a smaller set of texts as the core, to be published in one volume, and a second body of material that includes materials used only occasionally. They could both be considered part of the BCP. Part II would not be a supplement, but rather a "volume 2" of the official liturgies of the Church. The current BCP in the TEC and Brazil might be reduced to a 500 page book. A second book - including "traditional" forms of the Daily Offices, Eucharist, and the special services of Holy Week and other special observances, along with the Ordinal, and the Historical materials, could be published and be available as a kind of "Part II" of the official liturgical materials of the church. The Church of Brazil has done a massive work. It is to be congratulated for having done so. But the expansion of the BCP to a larger and larger tome means practically that it is no longer easily manual... something to be held in the hand. It is a large lump. In an odd way it begins to be a professionals book, not a people's book. In new revisions of the TEC's BCP perhaps the IEAB's BCP is a reminder that it is time to rethink what we want in a BCP. 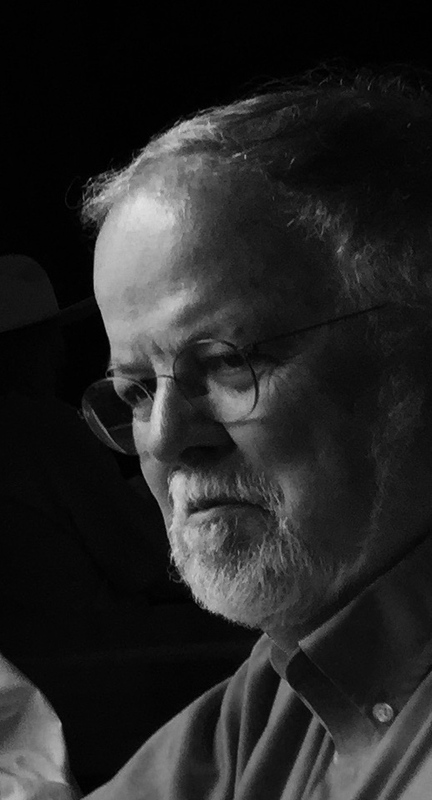 Do we want everything all in the same book, or do we want a book that we can hold in worship and in the quiet of our own place of secret prayer? Do we want a book that contains everything and becomes a cook book, or is it time to return to a people's prayer book, small enough to be a devotional manual? 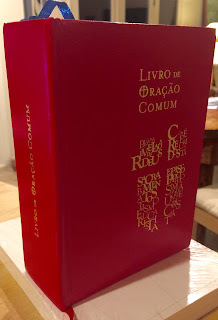 Portions of the proposed prayer book are online at http://liturgia.ieab.org.br/livro-de-oracao-comum/. I think the current 1979 BCP's scope is about the limit (~1000 pp.) and additional liturgies should go into the Book of Occasional Services, which isn't yet very large. I think that Rite I and Rite II could easily go in separate volumes, but there are still some parishes that mostly use Rite I. Actually, perhaps it's time to return to the pre-reformation pattern, with separate books for the Eucharist, the Office, the psalter, a separate pontifical that only the bishop would need to buy, etc... The Eucharist and Office Books could be printed in separate Rite I and Rite II editions, and likewise the Coverdale and Auden psalters could both be made available.